Graphic Design and Web Development…Just Better. What’s all the buzz about? 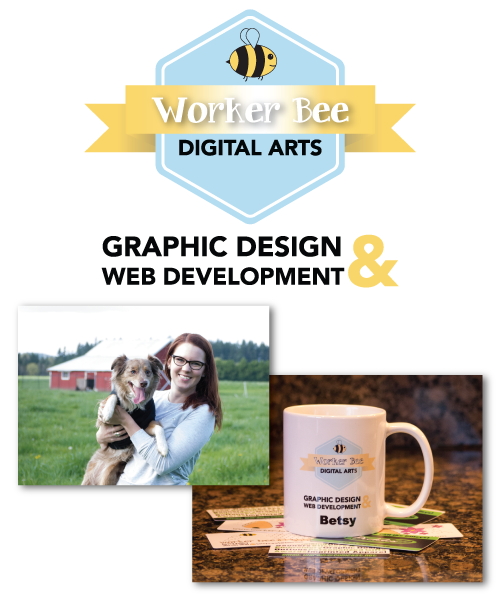 Worker Bee Digital Arts is a full service design and development studio – here to meet all of your business, non-profit, and event needs. If your marketing needs a boost or your brand needs a refresher…we are here to help! Worker Bee Digital Arts brings a refreshingly needed level of Customer Service to the Design and Development world. We are not just your designer, we are your print and web marketing partner. If you are looking for a unique experience – a partner in your branding journey – then Worker Bee Digital Arts is for you. Whether your project is a simple flyer or a complete brand development package, we are here to ensure that you are taken care of with the attention to detail you deserve.